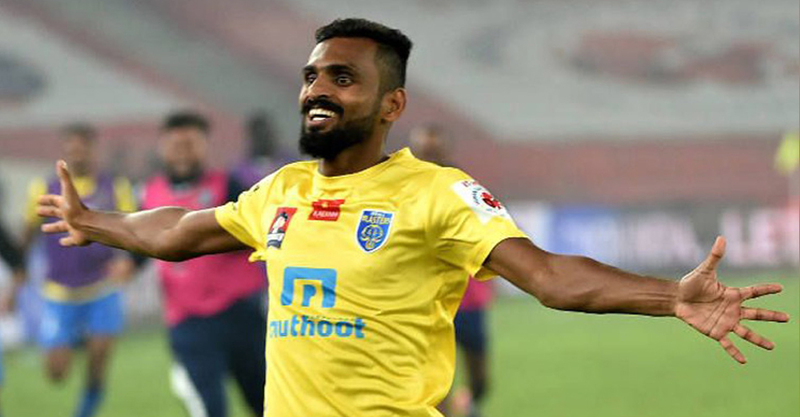 Ck vineeth the star striker of Kerala blasters has shown his love to football in naming his son. Vineeth and his new born son were in news before as Vineeth said his son does not have religion. Now Vineeth has named in son Ethan Stev. He combined names of Chelsea player Eden hazard and Liverpool legend Steven Jerald. Kerala blasters striker is a diehard fan of Liverpool.